We're proud to be your personal overhead door and loading dock equipment provider. door and loading dock equipment provider. At McKee we have over four decades of experience. We have had success in this by evolving with the ever changing marketplace, understanding our clients’ needs, while providing clear, confident plans, superior execution, teamwork, consideration, and consistency. At McKee, we understand the importance of quick access to the correct information. As a result, you will find the project support tools and technical resources that will help you address specific project needs. You are a contractor. Therefore, there is a very good chance that are you're looking at this on the fly while at a job site. We'll keep it simple - here's easy access to our product codes and listings. Contact us now. Need industrial door maintenance? Our company can take care of this for you. Do you want to enhance your door with accessories? McKee has that covered too. Do you need a part for your commercial door? We may have it. At McKee we are the single-source solution for anything related to the loading dock—whether you’re a Fortune 500 company or a local business. Our relationships with leading providers like Pentalift Equipment, Cornell Iron Works, Albany Door Systems, and Wayne Dalton combined with our industry knowledge ensure you get the solutions you need for your warehouse or materials management. We Install and Repair Industrial Overhead Doors and Commercial Garage Doors! The core strength of our company is our employees—many of whom have more than 20 years experience in the industry—so you benefit from our knowledge and experience. 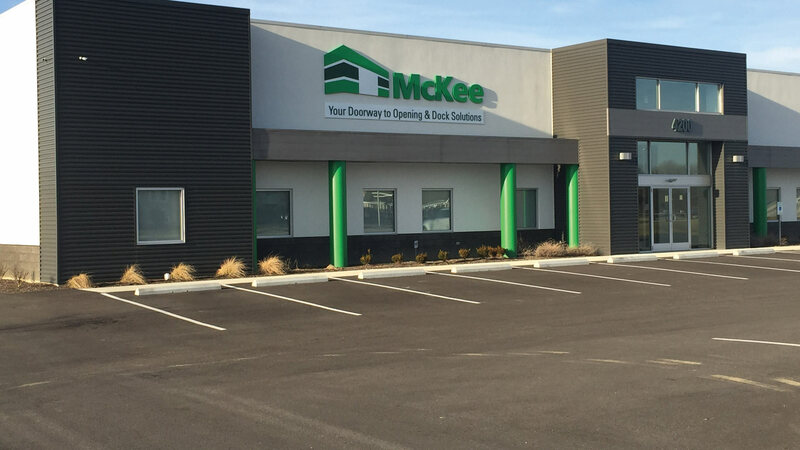 At McKee, we are passionate about providing high quality, value-added products and services to our customers. Our cornerstone ethic is to be forthright and reliable in our relationships with our customers, employees and suppliers.